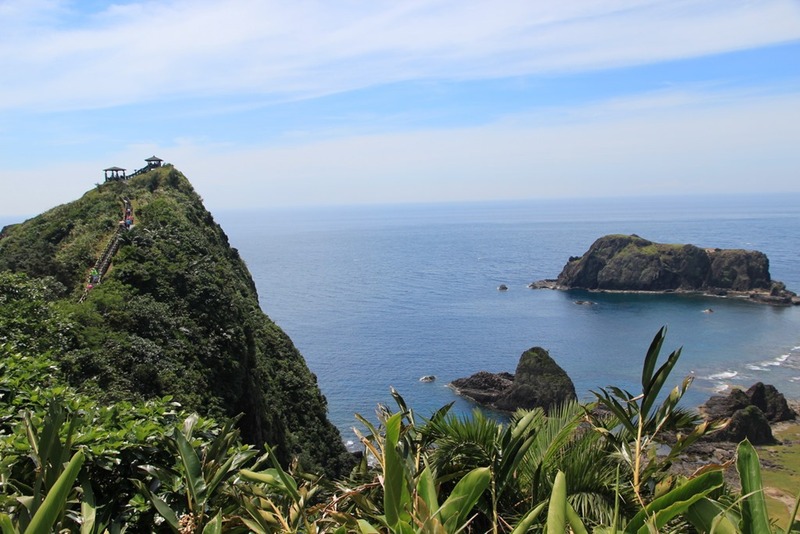 Mr. Selfish and I spent about a week in Taiwan, during which time we visited Taipei, Green Island, and Taroko Gorge. 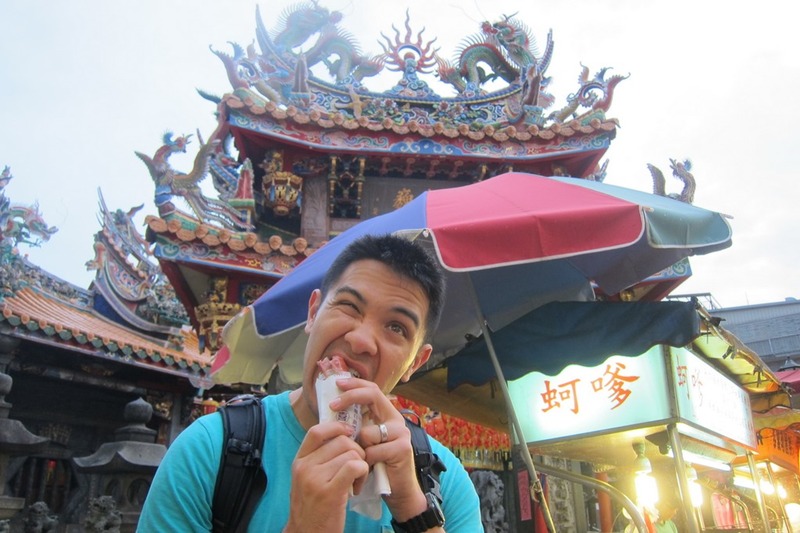 The most common reaction I had when telling people that I was visiting Taiwan was, “Why? Do you have family there?” No, I don’t have family there, and we visited primarily because we love the food. 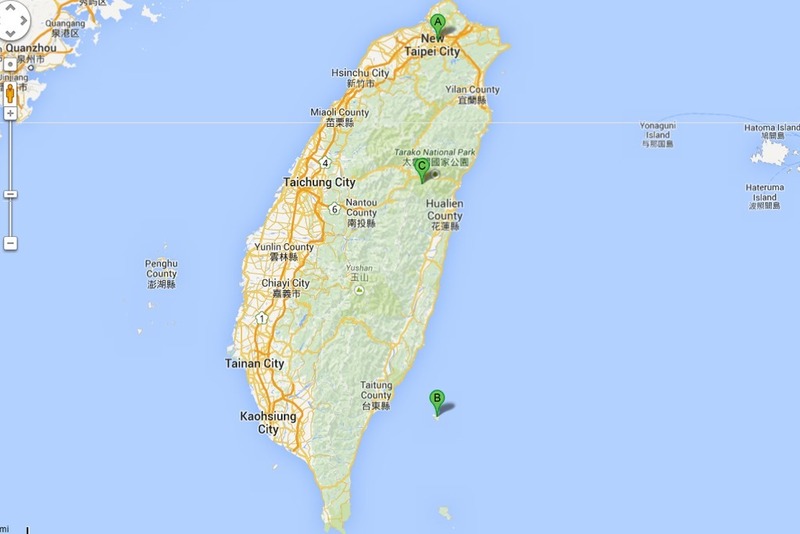 Turns out, Mr. Selfish and I enjoyed Taiwan quite a bit. The food is great, the people are nice, and the sights were beautiful. What’s not to like? 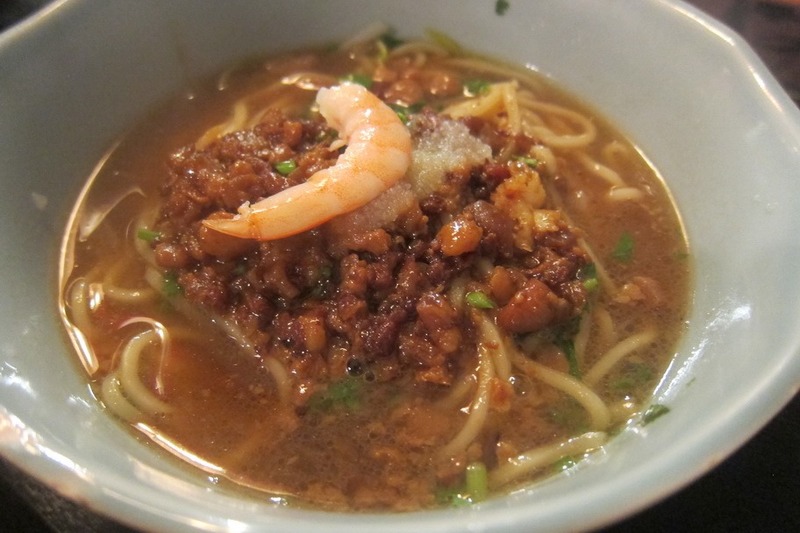 Not only does the food in Taipei taste great but it’s crazy cheap! Mr. Selfish and I spent about four nights in Taipei, mostly gorging ourselves on cheap eats. Here are some of our favorites. For our one “fancy” meal, we ate at Slack Season, and everything was delicious. 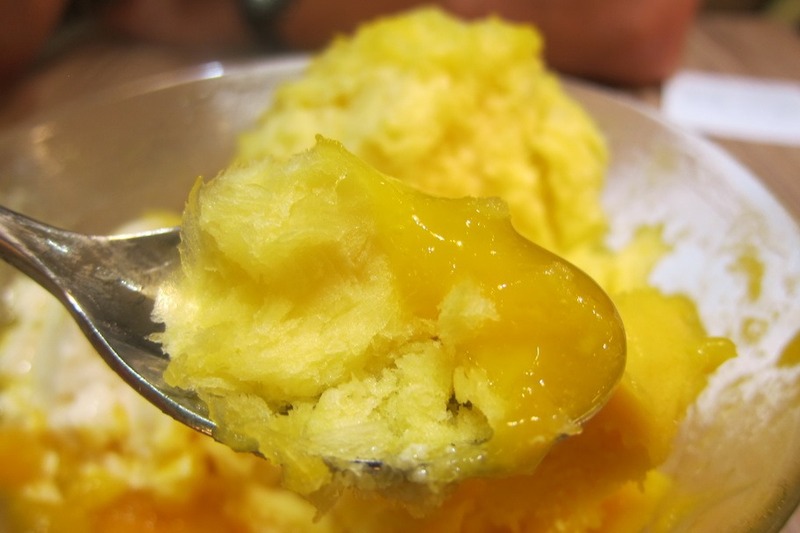 Aside from these cheap eats, you should also visit Taipei’s infamous night markets. We visited Shilin Night Market and Tong Hua Night Market. We found Shilin to be the superior night market out of these two but have heard that Keelung Night Market is the best. Aside from the amazing food, Taipei has some nice sights. 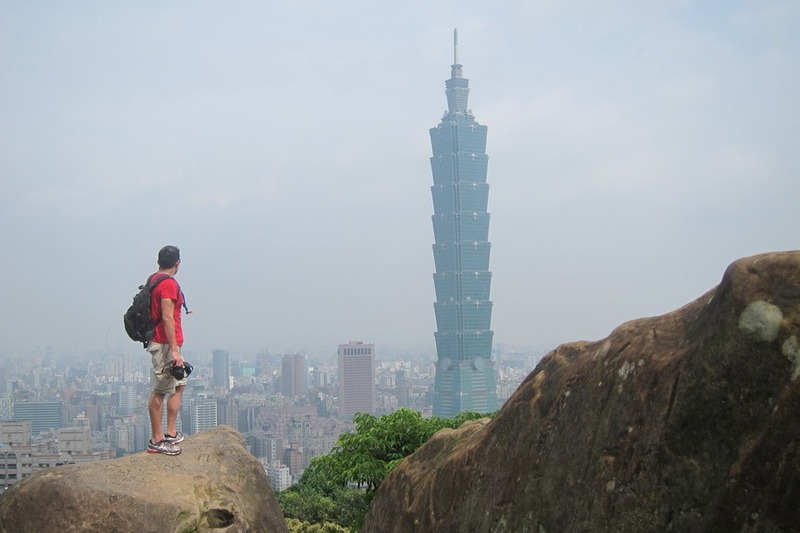 We particularly enjoyed Elephant Mountain for its view of Taipei 101. 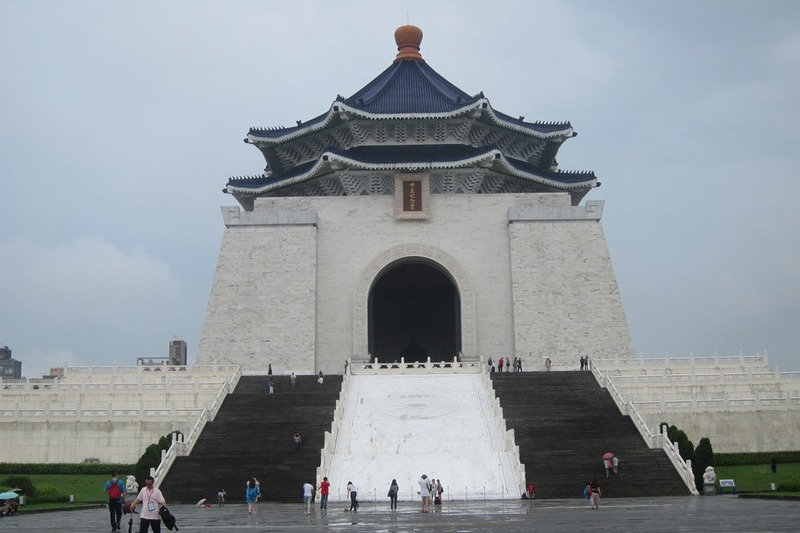 The National Chiang Kai-shek Memorial Hall is also pretty epic. 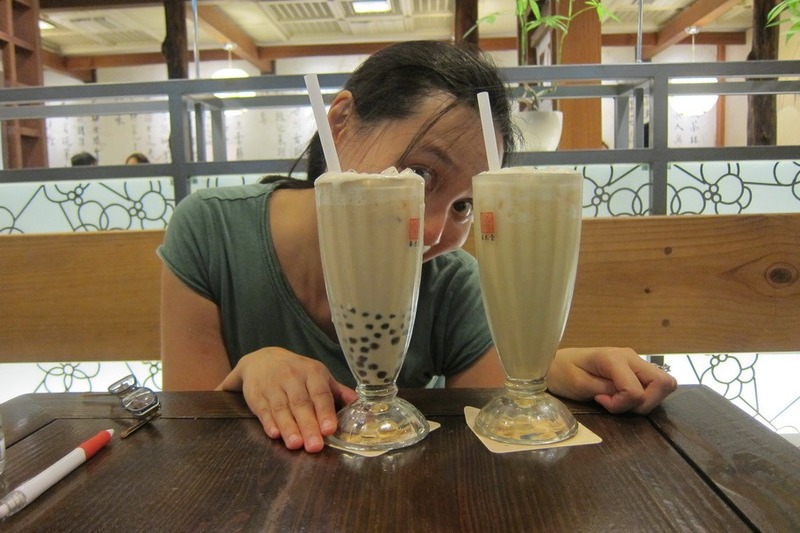 Plus, it’s right next to Chun Shui Tang Teahouse, from which you can enjoy delicious pearl milk tea. 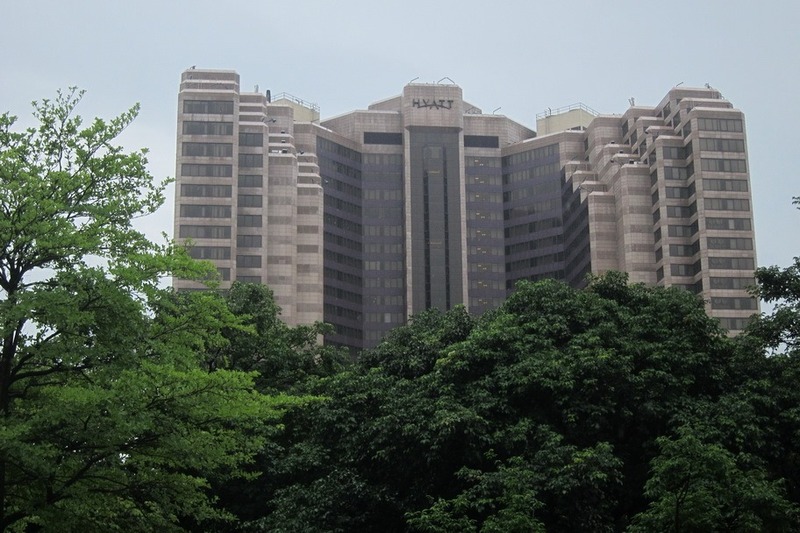 Finally, you should stay at the Grand Hyatt Taipei. 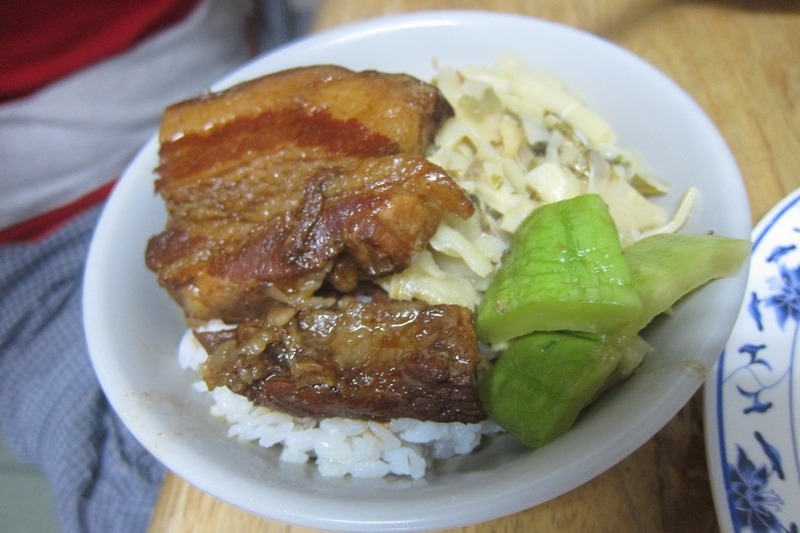 The service was phenomenal, the food was delicious, and the view of Taipei 101 was great. And no, it’s not haunted. After time adjusting in Taipei, Mr. Selfish and I boarded a train to Taitung, from which we took a ferry to Green Island. 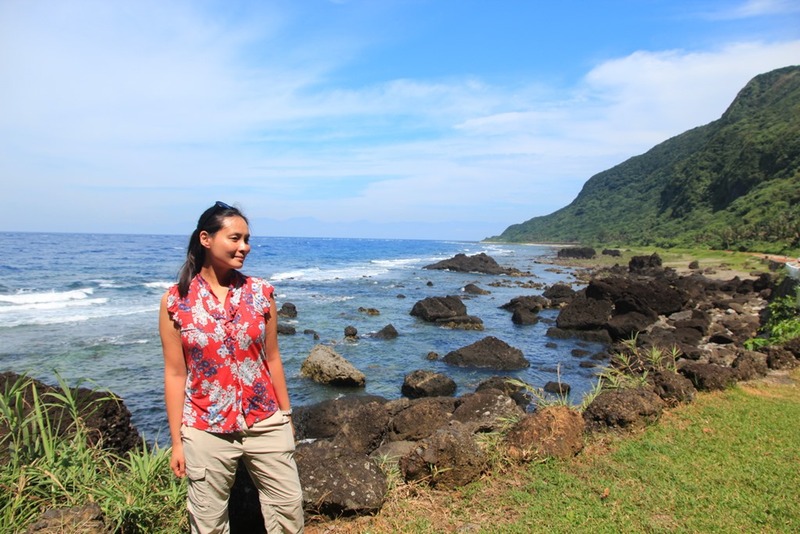 We had originally planned to go scuba diving on Green Island, but since I was pregnant, we had to cancel those plans. 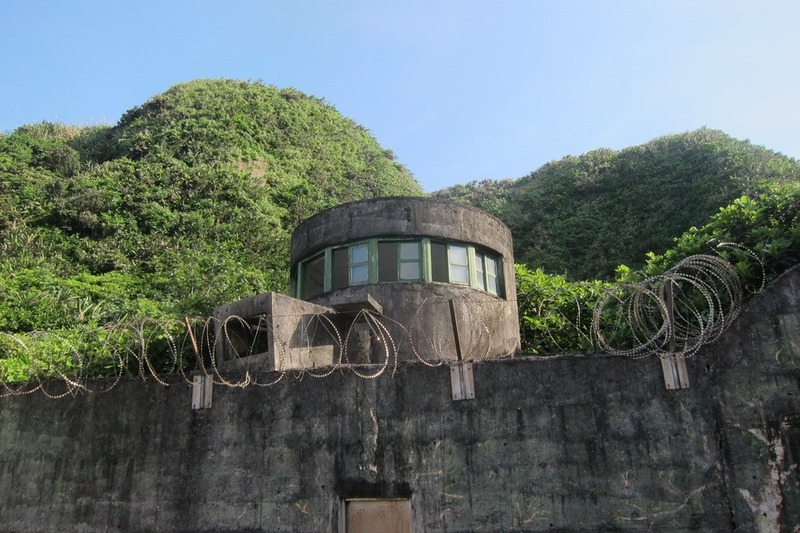 Green Island’s Prison was also particularly interesting, since Mr. Selfish and I were wholly unaware of the thirty-eight year period of martial law in Taiwan known as the White Terror. We didn’t bother making a Google map of Green Island since it is so small. 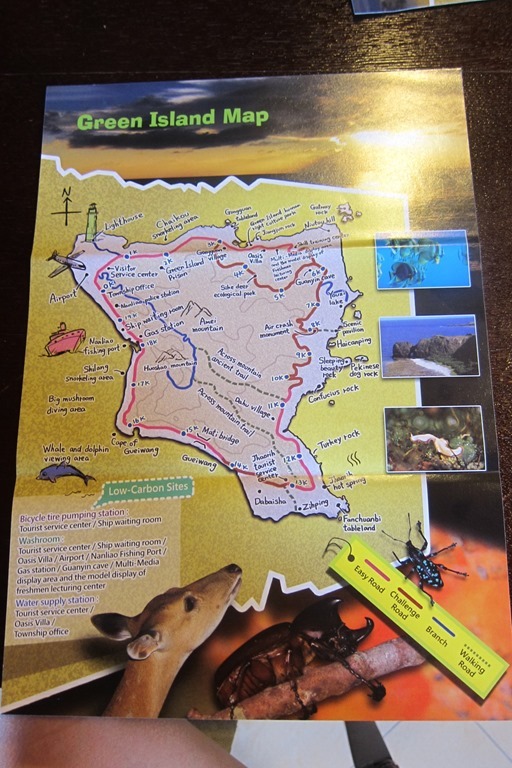 We just used the tourist map as a reference. 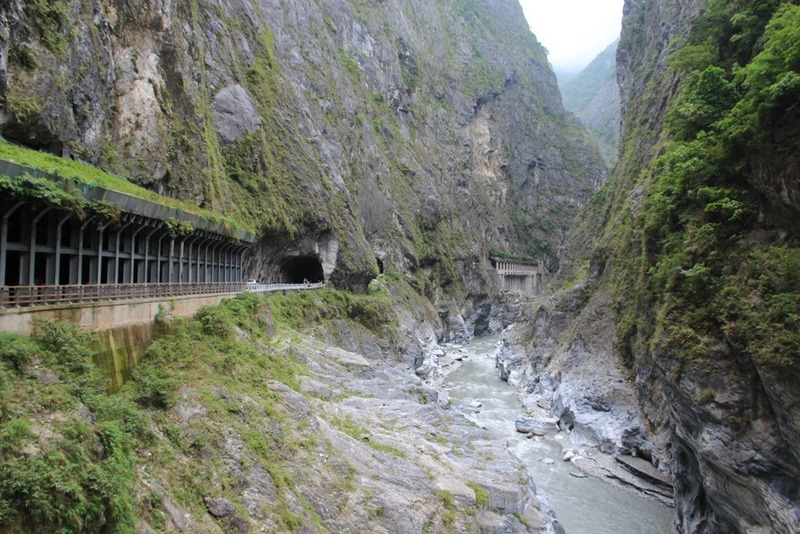 Taroko Gorge is one of Taiwan’s premiere tourist destinations and also boasts of a slight risk of death due to the prolific land slides. It was definitely worth the risk though, because it is indeed beautiful. Mr. Selfish and I especially enjoyed the Eternal Spring Shrine. 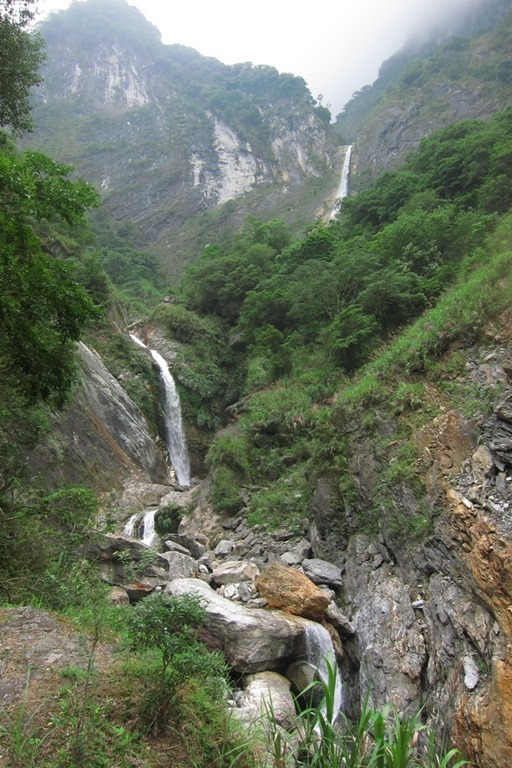 The Baiyang Waterfall Trail was also quite enjoyable. 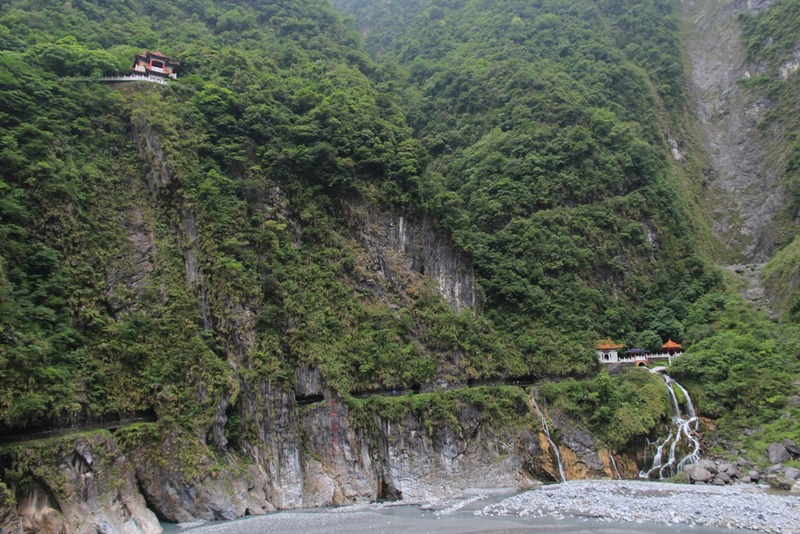 Similar to Green Island, Mr. Selfish and I didn’t create a Google map for Taroko Gorge. Instead, we just hired a private driver and directed him to the sights we wanted to visit. The next time we visit Taiwan, I want to visit some of the other cities on the west coast and go to Sun Moon Lake. 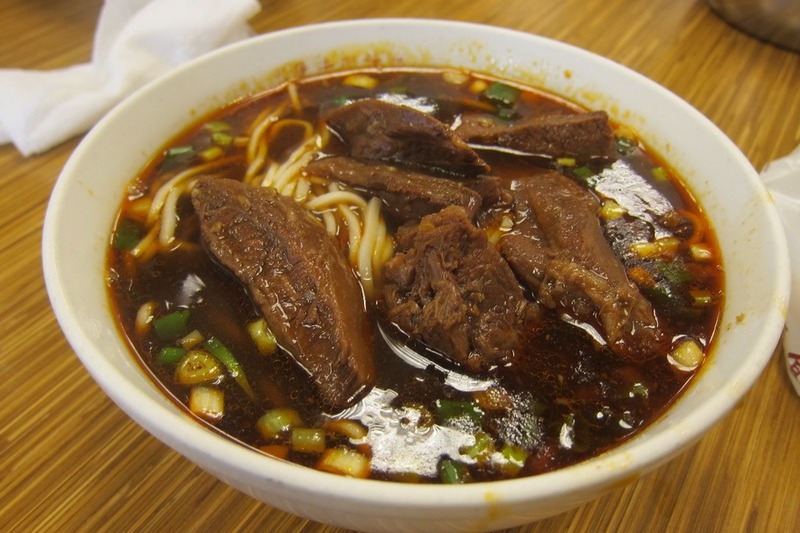 Do you have any other recommendations for Taiwan?